Exiled former Cabinet Minister Professor Jonathan Moyo has equated President Emmerson Mnangagwa to satan after Mnangagwa on Tuesday made a statement equating himself to God. "We will not be swayed by negative forces. Even the Lord upstairs was not able to keep his house in order, he had Satan. So, these things happen, but he still remains there as the Creator." Mnangagwa told journalists on Tuesday. Prof. Moyo responded, "And downstairs the people have you as the Satan!" This is not the first time that Prof. Moyo has linked Mnangagwa to the dark arts. In 2018 he alleged that Mnangagwa is involved in voodoo rituals and his scarf is a juju item. 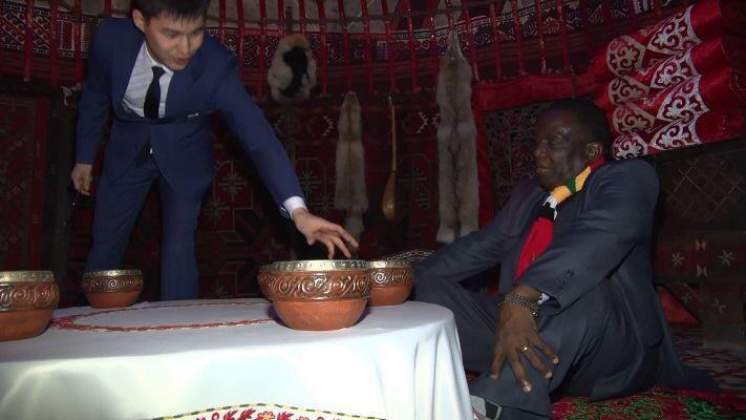 "Many know that Mnangagwa is into spirit mediums, nyangas and juju rituals big time. The scarf is a juju item." He said. ZANU PF has a strong belief in spiritism and in their 2018 Conference, they resolved to consult witchdoctors to lead in the cleansing of the country.